In this day and age, tequila is seen as the quickest, and most dangerous method of having a great night out. However, tequila has quite a wide range, and not all, if any, are produced to intoxicate someone. Tequila can be sweet, dry, flavoursome, and quite enjoyable. Not only does it depend on the type of agave used, but also whether it is; aged, uses added flavours, if it is blended with a liqueur, and where it is distilled in Mexico. As mentioned, Tequila as most people know, originates from Mexico and can only be considered to be Tequila if it is made in one of the many states of Mexico. In order to be classed as a Tequila, it must be distilled with fermented Blue Weber Agave. This is crucial, without this specific ingredient, it could be any other spirit. The process is quite lengthy, and a lot of love and passion is put into every bottle. For example; Patron, the largest producer of high quality Tequila are not only veterans, but use old methods to create unique and complex palettes, as well as the use of specific ingredients that gives it that edge over the competition. Now Tequila, like other spirits such as Whiskey or Brandy, is more than likely to be double distilled and can be aged to alter its colour and increase its flavour and character. It is however, bottled to around about 40-50% ABV, but it is very possible to find quite smooth, delicious and interesting tequilas on the market for an affordable price. Can Tequila be Smooth? It sure can! Like any Tequila, Agavero is distilled in the region of Jalisco, however it has the honour of being created by master distiller Lazaro Gallardo. It is a secret recipe guarded by his close friends. A 100% blue agave tequila that is blended with essence of the Damiana flower which is indigenous to the mountains of Jalisco. In addition, Agavero has introduced the new Orange flavoured version as well, infused the oranges and pure agave nectar to make another fine addition to the family. Best way to describe Agavero; think sweet, smooth, and oranges. No need for limes and salt with this one, garnish a shot with a slice of orange and brown sugar. A nice surprise for regular drinker. Patron are known as the big boys of tequila, and they have good reasons to be the best tequila distillers in the world. Firstly, they are traditional. Most distillers use industrial distillers and crushers to press the agave to extract the much needed base, however Patron use the old methods of giant Tahona wheels to recreate the age-old process from years ago. You may have noticed that each bottle is created to be exactly like the last, as each one is inspected, as well as each harvest and finished tequila by world-class testers. Finally, Patron’s range of products is excellent. Patron XO is silver tequila with the essence of fine coffee, best chilled and not sweet. This dry tequila is not only great as a shot, but can be sipped, used in cocktails or as a dessert ingredient. You will be hit with fresh coffee, chocolate and vanilla, with notes of fresh roasted coffee, ending in a smooth finish. A personal favourite, this golden beauty works wonders not only as a shot, but a great ingredient in a cocktail. The key thing to notice is reposado, meaning it has been rested/briefly aged. Unlike anejo tequilas which have been aged for a minimum of one year, reposado tequila’s are rested in oak barrels from two months to one year. Olmeca Reposado is aged for six months in white American oak ex-bourbon casks, giving it more character and a better finish. This extra process gives it the colour that is appealing, and the additional notes and flavour from either sipping or shooting it. The first flavour that hits your taste buds is fruit and citrus. It is a sweet tequila, using various fruits to add more character, and the sweetness derives from a slight touch of honey. However, there are also hints of black pepper. Now unfortunately I cannot just choose one type of Cazcabel Tequila to recommend as each one is just as good in their own right, and the different ranges are too amazing to pass on. Again, in the Jalisco mountains, we have medicine man Don Cazcabel, also a legend, was famous for his natural tonics and attracted hundreds of fellow Mexican miles around. 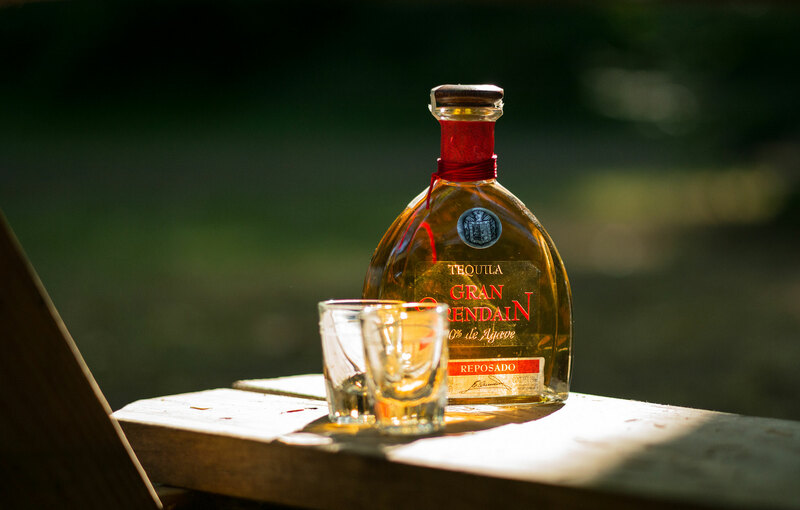 A faithful student, his tequila recipes are well-renown and respected, for good reasons too. A favourite in cocktail bars is Cazcabel Honey, this honey-infused tequila liqueur is smooth, sweet and tasty. The dose of sweet nectar and fresh, earthy tequila blanco blends so well together, it even uses two different honeys; manuka and yukatan sourced from the fields of Yukatan in Mexico and the Manuka trees of New Zealand. You can not only easily drink this, but is amazing in a Honey Margarita. 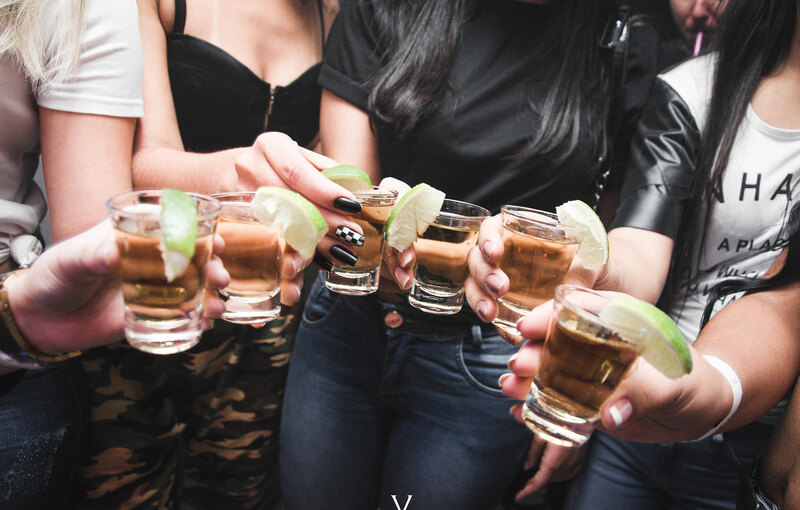 Of course there are more shots to enjoy, and most importantly, different types of tequila to enjoy from Monday to Sunday. If you enjoy tequila then I recommend a taste of Mezcal. What is mezcal? Well, while Tequila requirement is that it must be made in Mexico and with 100% Blue Weber Agave, Mezcal does not follow this rule and is a lot more smoky as well. A whole new range of flavours are explored because of mezcal, using wood-fired ovens in earthen pits, with charcoal and lava rocks. Traditionally bottled with a worm, it still uses terms as anejo, blanco and reposado. If you like tequila, from; shooting, sipping, and so on, mezcal is a treat for you.